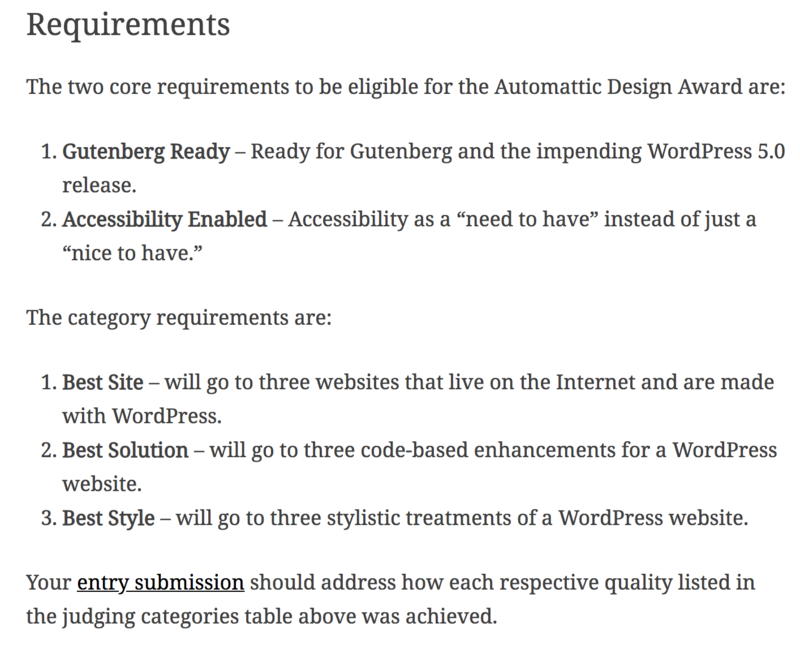 At WordCamp Europe this year, Automattician John Maeda, shared his idea for the Automattic Design Awards. The crowd cheered and thus the idea was born. Maeda teamed up with Simon Cooke from Pragmatic shortly to create a way to recognize amazing designs made with WordPress. Maeda and Cooke gathered a jury of digital agency and design leaders in the community to find the best designs out there. 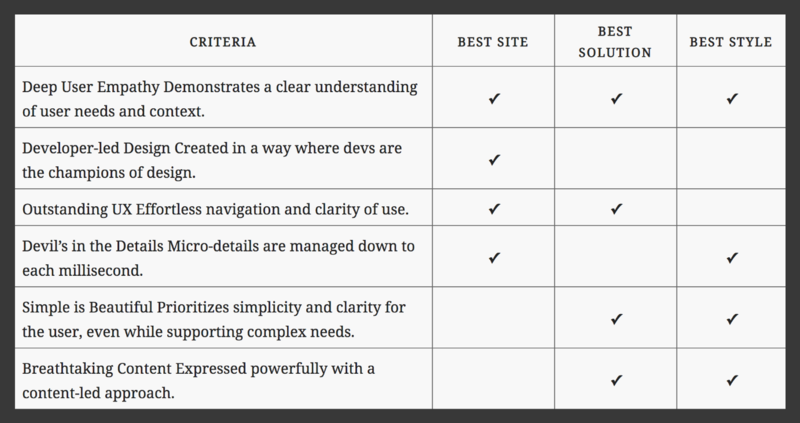 The team is looking for developer-led design projects that highlight accessibility. Not only from the front-end UX side but also in the backgrounds of entrees. Deadline to enter is November 16, 2018 at 23:00 UTC. Winners will be announced on December 3 and there will be an awards party held at WordCamp US on December 8. Make sure you submit your site by November 16, 23:00 UTC.